– Thomas Gugler, Worldchefs President. Click here to find out more about ScanBox products. – Ole Lyngdahl Olsen, VP Sales at ScanBox. 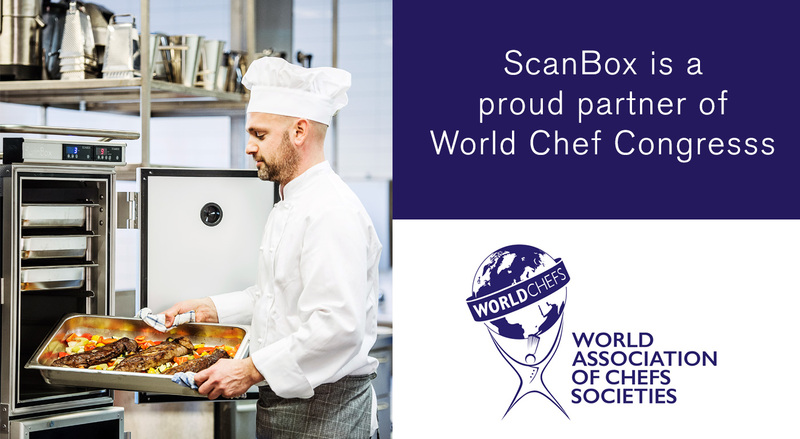 As Equipment Partner, ScanBox will be present at the biennial hallmark Worldchefs Congress & Expo event – Asia on a Plate. Make sure you register today for this must-attend global chefs event – click here to find out more about the event. Education – Recognition of Quality Culinary Education program, ongoing professional development & training, and the world’s first global culinary certification. Events & Competition – Worldchefs provides a gateway to global events and hosts the landmark biennial Worldchefs Congress & Expo. This includes the Global Chefs Challenge where the world’s best chefs meet to compete. Feed the Planet – Delivery of humanitarian and sustainability initiatives which create better lives, better food and better futures across the planet.